For those of you who can't upload your data from Dragonball Xenoverse 1 even though you have your Steam Cloud enabled and you have DBXV1 data, but the game can't seem to find the data for some reason. Warning: This might fix your game, but it also involves deleting your current saved data, so keep that in mind. I can't guarantee it will work, but it worked for me. So you load up Xenoverse 2 and you get to the part where you're supposed to upload your Xenoverse 1 data and it says it can't find it. You know you have Xenoverse 1 data, you have Steam Cloud enabled and your saves should be in the proper locations, so why isn't it working? I had the same problem, here's how I fixed it: I opened DBXV2 and then exited with ctrl+esc at the start screen, then I went to my File Explorer, opened up Windows (C:), then Program Files (86) and searched for DBXV2. Inside of DBXV2 is DBXV2.sav which I right clicked and opened with Notepad. I pressed ctrl+a and then just hit backspace and it wiped the document, after this I saved the empty Notepad doc and exited it (I did not delete anything, except the text inside the doc). 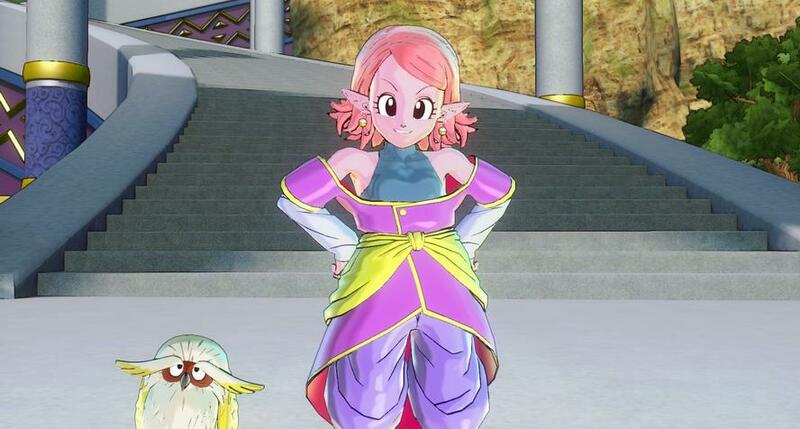 I then went back to DBXV2 and started it up, it said that the file was corrupted and asked me to make a new one; I did and it asked me whether or not I wanted to upload my xenoverse 1 data and this time it allowed me to upload my stuff. Important notes: If you do not have a save file already you will need to make one. Basically just let it load a game without your uploaded DBXV stuff, make a throw away character and then as soon as you load into Conton City exit the game and turn it on again THEN follow the instructions. If you don't use the default save location for your files then you'll have to find where ever you saved your game in order to do this. Also you may want to move DBXV.sav to where ever it would be by default because that might be why it can't locate it. The location of the DBXV2 folder and DBXV.sav file have to be in the same folder and DBXV2 has to be oriented toward that path; my suggestion is just do the default save locations unless you know what you're doing. If you have more than one steam account active on your computer then there can be more than one DBXV2.sav file. In which case you're going to need to go to Program Files (86)>Steam>userdata> and from here you'll see a number of files equal to the number of steam accounts you have on your computer. Unfortunately these folders don't have your steam account names on them; they are listed with numbers. I'm not sure how to determine which of these folders correlates to which account, so good luck with that one bud. Once you find the right one you'll be greeted with a number of folders equal to the number of games you have saved games in with different id numbers. Fortunately DBXV1 and DBXV2 are both in the one labeled 323470. In 323470 open remote and then you'll see your DBXV2 folder (which contains DBXV2.sav) and DBXV.sav (assuming that you use the default saving path for your games). Basically if you have more than one account you're trying to figure out which folder is yours and then you're doing the same stuff in my original instructions. (The way I figured out which account was mine was because I only had DBXV2 data on one of my accounts so I checked the 323470>remote files and found the one that had DBXV2 data in it).